Imagine a place where time seems to have stood still. No-one is glued to their cell phone; there are no global brands and few modern vehicles or buildings. Although everything looks old, dilapidated and falling apart, there is vibrance and energy. That place is Havana, and we were keen to check it out. 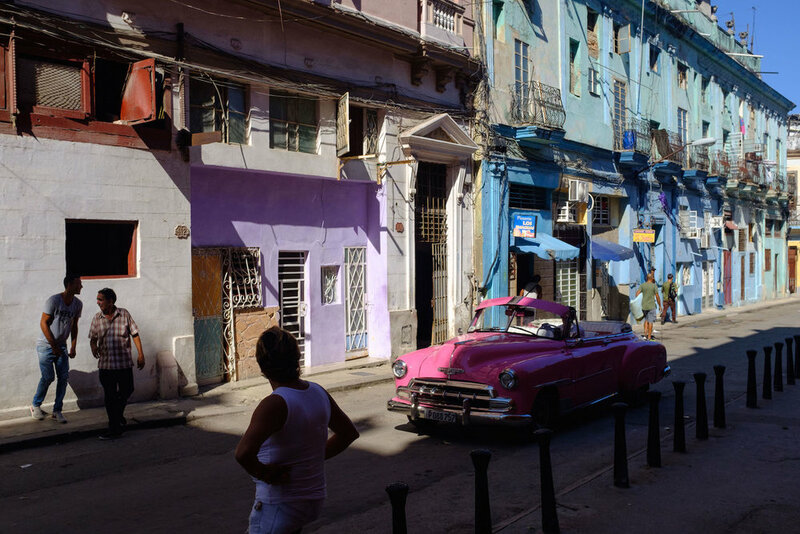 Having just flown in directly from freezing Montreal, where winter had set in, Havana seemed very different. Even our Hotel, Casa 1932, was like time travel to another world. It was a treasure trove of vintage and deco artifacts, historical photos, statues and it oozed old world style. The breakfast was spectacular, and the location was in the most interesting part of town - Centro Habana. You can check out Casa 1932 here. Along with our other travels, it also features in the below video. 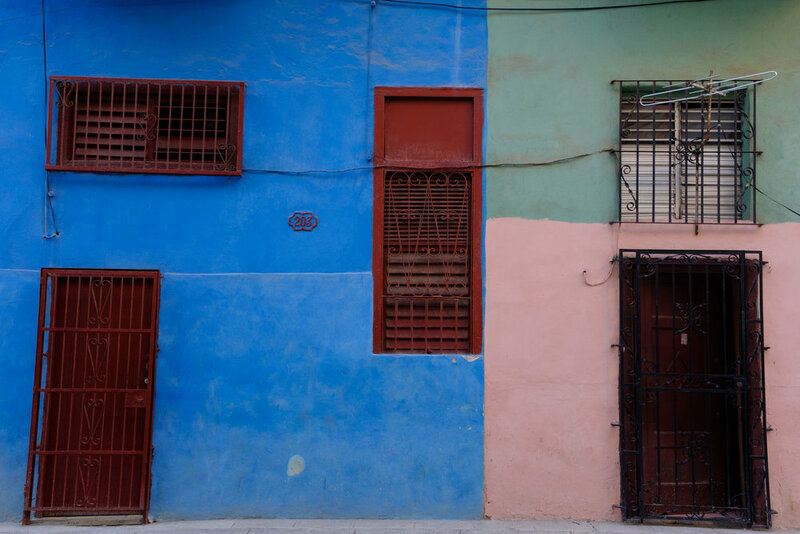 On our first day in town, we explored Habana Vieja, which is the oldest part of the city. Following the usual walk, we began in the north at Catedral de San Cristobal and ended at the vast open Plaza Veija at the other end. Along the way, we stopped in at the intersection of Calle Obispo (where the oldest building in Havana sit alongside the Hemmingway hangout Hotel Ambos Mundos), checked out an old monastery and sat on a park bench at our favourite spot - the Plaza de Armas. 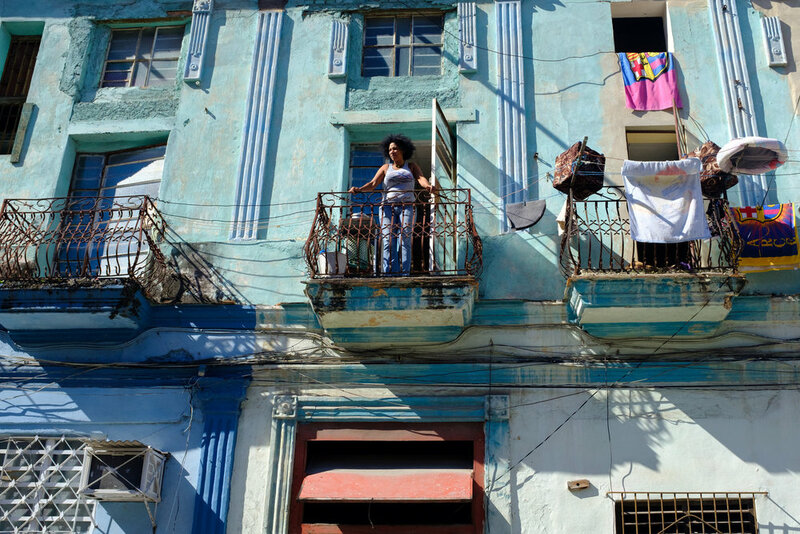 The whole area of Habana Vieja has a kind of festive vibe: street performers, touts, live music and of course hoards of tourists - many of whom have just rolled off a large cruise ship or been bundled from an air-conditioned bus. After walking the hot and narrow streets for the day, it was a perfect wind down to head down to the Malecon, watch the fishermen, dodge the spray from waves and enjoy the sun setting over the waterfront. After a couple of days exploring Habana Vieja and Centro Habana, we decided to taxi across town to the slightly more upmarket area of Vedado. This part of the city features the infamous 1930’s Mafia hangout Hotel Nacional, as well as Modernist resorts, large wealthy Art Deco, neoclassical and baroque mansions, plus the occasional brutalist soviet style skyscraper. In the morning we first visited the Necropolis Cristobal Colon cemetery, which one of the largest in Latin America. It was blisteringly hot and with all the blinding white tombstones made for a bit of a gruelling experience. But if grand, imposing and ornate tombs, statues and the like are your thing, then a good stopover. For lunch and a Mojito, we stopped in at the Hotel Nacional. Although attractive, it is more impressive from the outside. It has an open lawn with a garden and an ocean vista. Reclining in the large wicker chairs, you can easily fantasise you are some 30’s mafia Don, escaping the stress of the winter further north. Later we had dinner at Cafe Laurent. This Lonely Planet recommended place was a nice rooftop open-air restaurant with views out over the city. The food was, and it was a great place to watch the sunset. The only issue was that Sonya woke up with food poisoning the next day. Not so good. On our final day in Havana took an extended sunset bicycle ride around the city, guided by Eva from Cuba Ruta Bike Tours. This journey features in the above video. The tour started out in the wealthy suburb of Miramar home to, diplomats, embassies, moneyed foreigners, and high-ranking Cuban officials. From Miramar, we ducked down into the natural park area of Rio Almendares, where we wound alongside the river and through the tropical green forest. From the Plaza, we then took a long loop down through the old streets of Habana Centro, which was the area where we were staying at Casa 1932. We stopped for a quick visit to an artist area. Finally, we cruised our bikes along the Malecon at the waterfront - just as the sun was going down. It was a long but enjoyable ride, ensuring we would sleep well and be ready for the 5.30am flight to Baracoa. 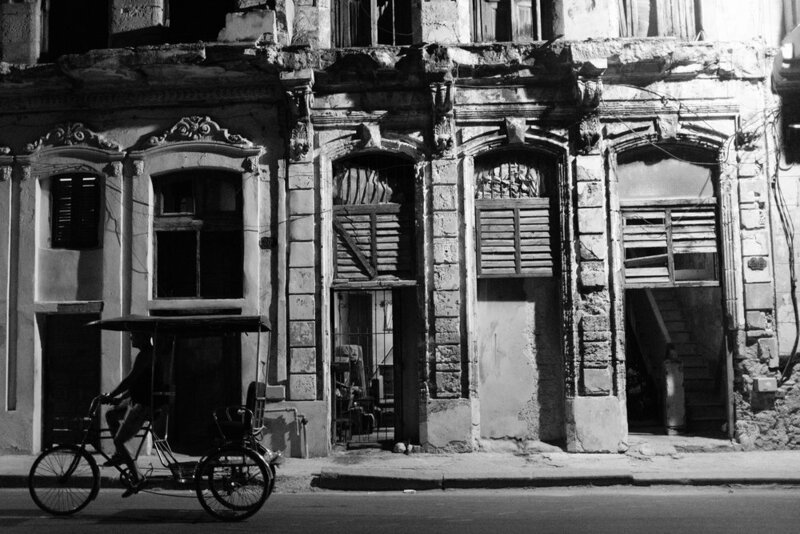 This part of the city is more dilapidated and less touristy than Habana Veja, so is more interesting and enjoyable to walk around. There are less 'sights' - churches, plazas and so on - but the street walking is more interesting. Here people hang out on the street; working on old cars, gossiping and generally getting on with their business. The buildings and apartments are crumbling, old and generally characterful. 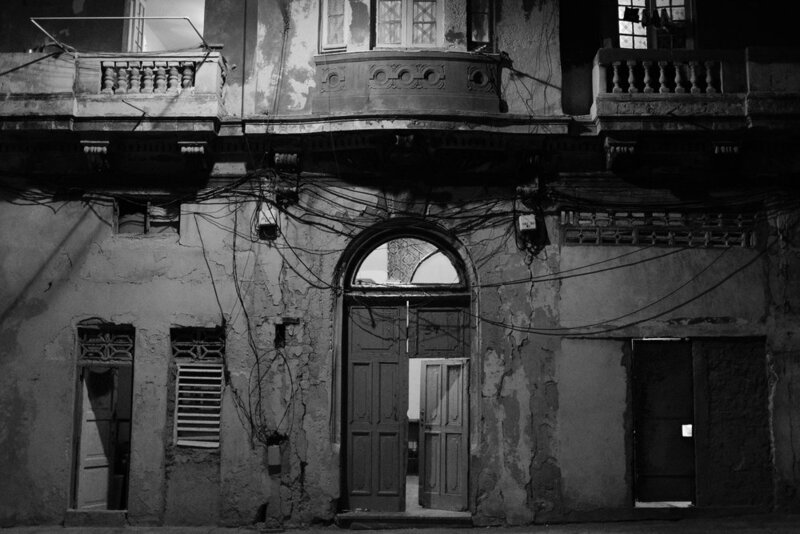 If you like old doors and windows - like much of Cuba - you will have plenty to enjoy. An excellent way to cover a lot of ground around the city is by bicycle, ideally, I would recommend doing this on your first day, so you get a taste of things. You also get to see places you might otherwise miss. Hard to avoid, everyone ends up here. Especially nice at sunset. In Habana Vieja, this lush, tropical green oasis in the middle old stone city was just a beautiful quiet place to sit and soak up the vibe. Cuba is a bit more expensive than you might expect. Meals, taxis, Accommodation are a little cheaper than North America or Europe, but not significantly less. One exception is alcohol - which is both easy to find and inexpensive. Don’t expect to see any big international or multinational brands or chain stores. Yep, that’s right, if you were hoping to hang in Starbucks or McDonalds, then Cuba isn’t for you. This is part of what makes Cuba so appealing. Upon first arrival, you can’t help but notice the lack of billboards, advertising and the ubiquitous hard sell that exists almost everywhere else in the world. In Cuba, general supplies can be hard to find. Cuba suffers a lot of shortages, notably medicines, unusual foodstuffs and so on. If you need something bring it along because you might not be able to find it when you get there. It is likely you will be asked for medicine - even by apparently quite well off people - because people can’t always get it. 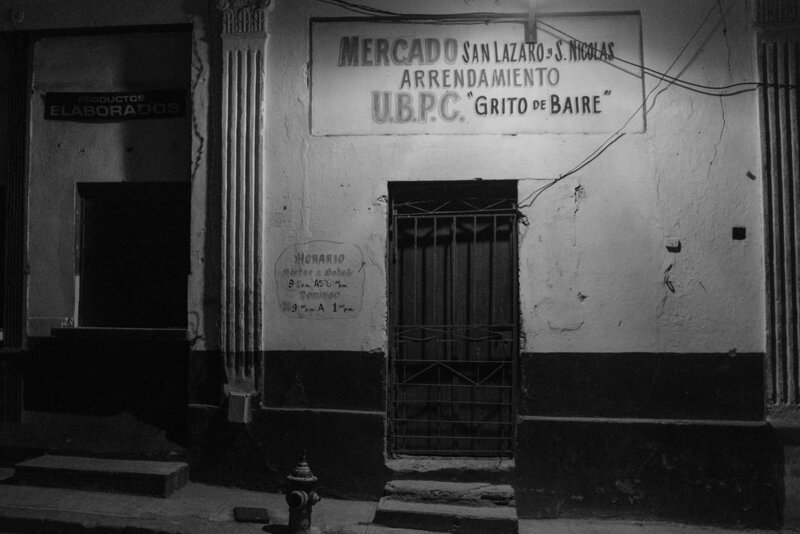 Shops are often quite empty (except alcohol), so if shopping is your thing don’t go to Cuba. That said, restaurants and cafe's are well stocked - so you won't starve! The internet is available in Cuba, but it is a hassle. The only way you can get onto the internet is to buy a card (about 1CUC per hour) with login details to the internet at various wifi hotspots. Often you can only get the cards from secondary sellers who crank the price up (and also run a few scams). The usual place you can get wifi is a public place, like a Plaza or something. This is less than ideal as it isn’t a good idea to pull out a laptop, so you need to use your phone. Also, sitting somewhere public means touts, and the like will keep coming up to you. Because of all this, Cuba is the perfect place for a digital detox. It is a good idea to organise as much of your trip before you leave as possible. The internet is limited when you get there, but also the internet is hard to access for many Cubans. So if you book a place or something, it will take some time for them to respond. That said, there is a lot of accommodation and so on, so entirely possible to plan things on the fly. There are a lot of touts in Cuba. Be wary of random people approaching you in public spaces. Most of them are pretty harmless but can be a nuisance. In general, though Cuban’s are honest, friendly and helpful. Cuba is not a wealthy country. One thing that differs from other developing nations though is that people appear to be all similarly poor. You rarely see someone destitute on the street or a very wealthy person. In Cuba nobody has much, and even people with employment don’t earn a lot. Except, I was told, Taxi drivers. Apparently, they receive the best money. There isn’t much traffic. So if you are riding a bike, motorbike or driving yourself, then the roads are pleasantly empty. So, should you go to Cuba? Yes absolutely. It is one of the most interesting places you can imagine. Having already traveled a lot in South and Central America (and elsewhere), I was surprised how unique Cuba was. There are many things that are refreshing, different and special about Cuba.